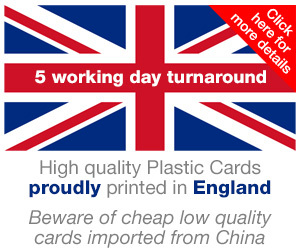 When we have received your self addressed envelope we will post your sample pack to you. 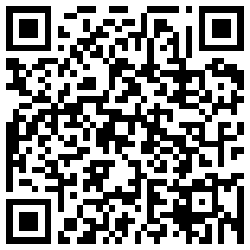 You are welcome to do this and then email the pdf label to us at sales@cpcards.co.uk so that we can print it off. For the recipients details please input your address as the samples are being sent to you and not to us. & enter your details as the recipient and sender. You are welcome to select 'signed for' but we will have to take your sample pack to a post office branch which will result in a delay for you. If you are in the Republic of Ireland or Channel Islands please ensure you select the appropriate entry in the country list and don't use the automatically completed United Kingdom. 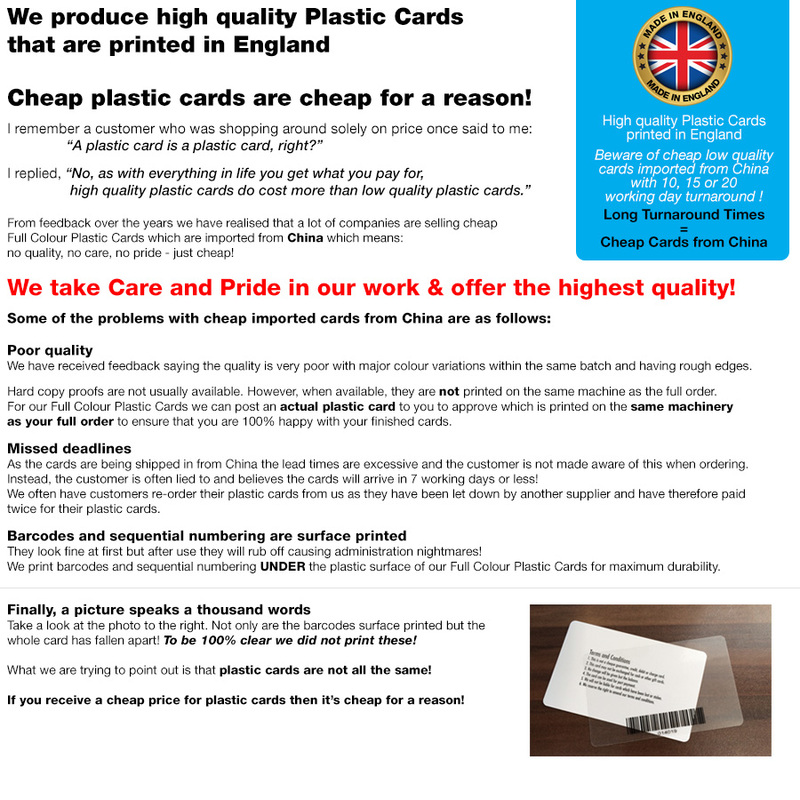 We are a small family run business proudly making plastic cards in England, see bottom of page for more information. In 2007, we changed our policy in relation to sending out sample packs as we received so many requests for sample packs each and every day. Prior to 2007, we would send samples to anyone who asked for them, even if they had not received a quote. On following up these enquiries, we mainly received no reply or if we did receive a reply, it was a comment saying that they did not realise how much they cost and they were outside there budget. From these comments we learned that we had to ensure that the customer had received a quote before sending samples. This method seemed to work a little bit better although we still received a lot of feedback regarding the cards being too expensive, despite them knowing the prices when they confirmed they still wanted a sample pack. Due to the number of sample pack requests we received, we had to review the best way forward as it was simply wasting money, time and resources. We considered charging a nominal fee for a sample pack which was refundable if an order was placed. We tried this for a few days but found that the administration of this was difficult and more importantly it really upset potential customers. This is the last thing we want to do. 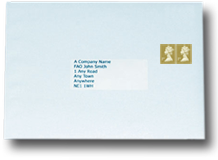 One of my colleagues then came up with the tried and tested method of a stamped address envelope (commonly used by Blue Peter!). We have used this method of sending samples for over 11 years and it is working very well as it enables us to spend more time and resources focusing on genuine customers. Some customers do not like it as they actually have to go to some effort to request the samples. Unfortunately this seems, to be the best solution. The sample packs and cards are expensive to produce and this way the cost is shared. I hope our potential customers can understand that in this day and age companies have to be careful regarding costs. If anyone can think of any other solutions please let us know. Also please remember that for full colour solid plastic card orders a postal proof / actual finished card is available for approval before we print the full order. Please please please let us have any comments regarding this area and any potential solutions we have not thought of.